Bagfaces are probably the most familiar collectable tribal utilitarian objects in the western hemisphere. Which can also be known as saddlebags with two decorated pouches. 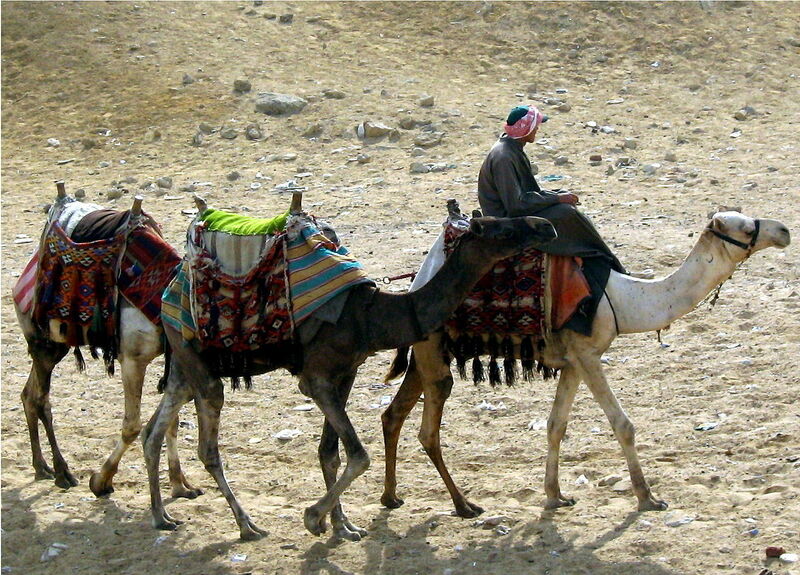 Created in various sizes, with the smallest examples used on donkeys. Known as heybe in Turkey and Khorjin in Iran. 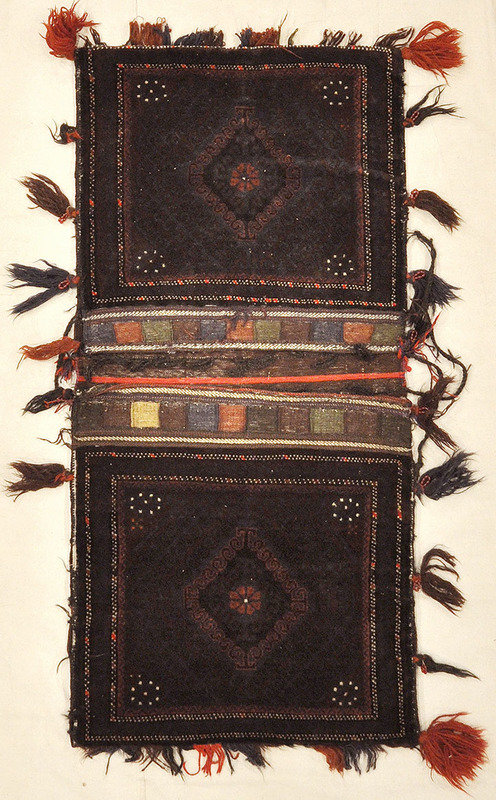 The larger bags were used to transport goods or house holds are called Mafrash. They appear in a wide variety of woven structures. For instance, tapestry, soumak, brocading, knotted pile, weft substitution, and even occasionally warp substitution. 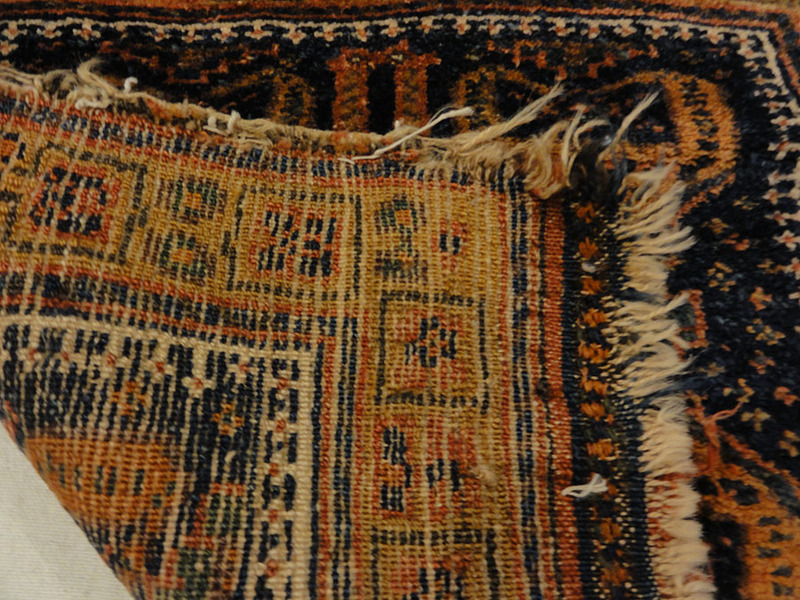 These Bag’s were commonly made with a long center bridge with a slit down the center. Known as Saddlebag’s that men sometimes slipped these over their heads to serve as convenient shopping bags when in the marketplace. 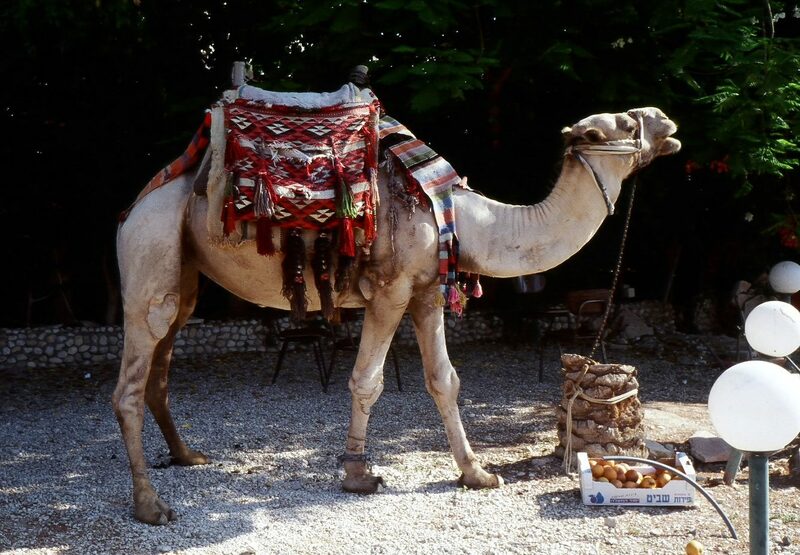 Larger saddlebag’s were made for use on horses and camels. In addition, these are normally woven in one long piece. First the face for one pouch was woven, then a long section that formed the back and center bridge, then the second pouch face. Furthermore, the bag was assembled by folding each end panel inward. Then stitching along the sides. With the earliest pieces, often only the bagfaces have survived, or just half a bagface being a single pouch with both face and back intact. These can be important collectors pieces. There are growing number of collectors in this field and specially bags and bag faces, because they are smaller and don’t take much space. 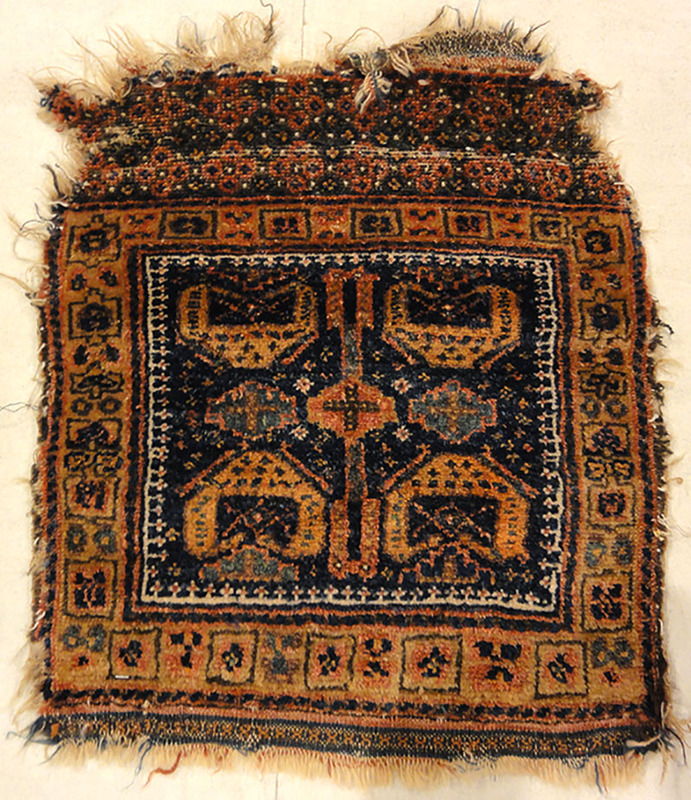 To see the largest collection of Antique Tribal Bags, bag faces and Mafrashs come to Rugs and More and for the finest Examples ask to see the ones from the Kourosh Collection.